Category: Blankets and Throws. 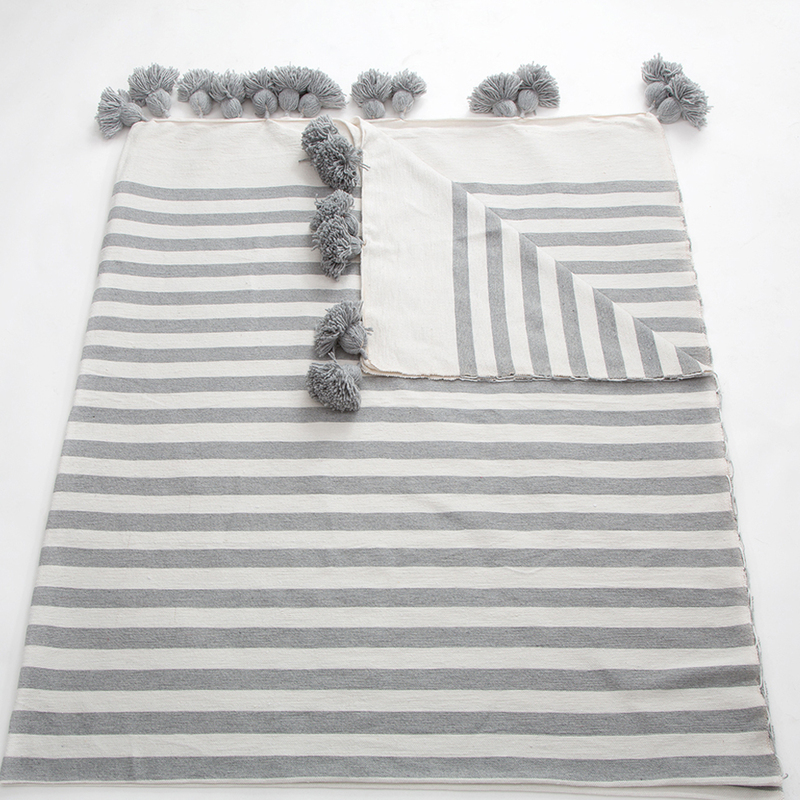 Tags: 100% cotton, cotton blanket, cotton pom pom blanket, ethical, hand-woven blanket, Morocco, New. 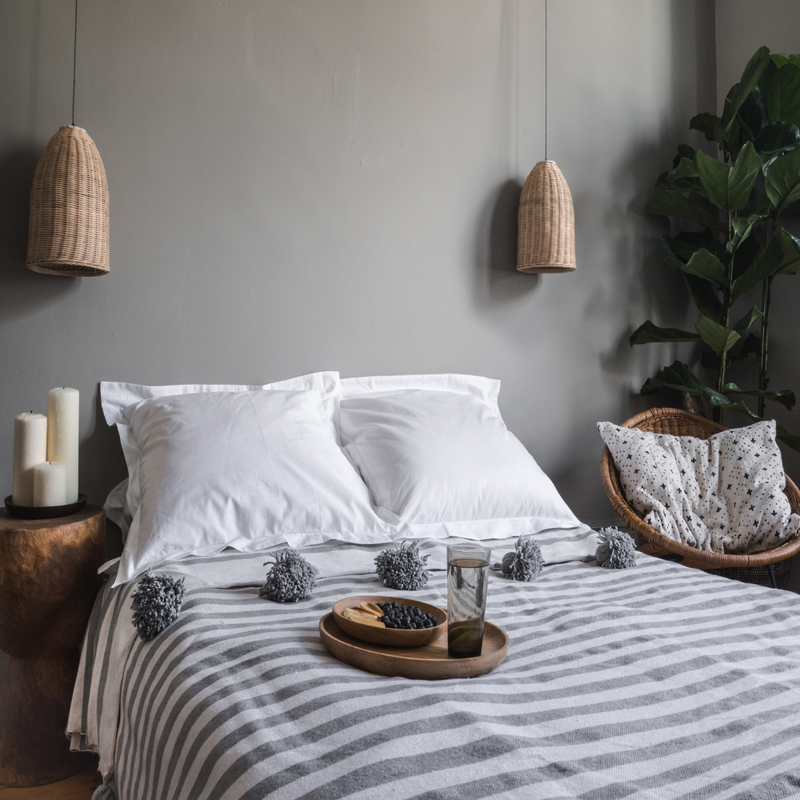 New in we have these sophisticated pale grey and white striped cotton blankets with matching grey pom poms. Scroll over the images to see the blanket in more detail. These blankets are hand-woven for us in Morocco by a family of weavers using techniques handed down from father to son over generations. 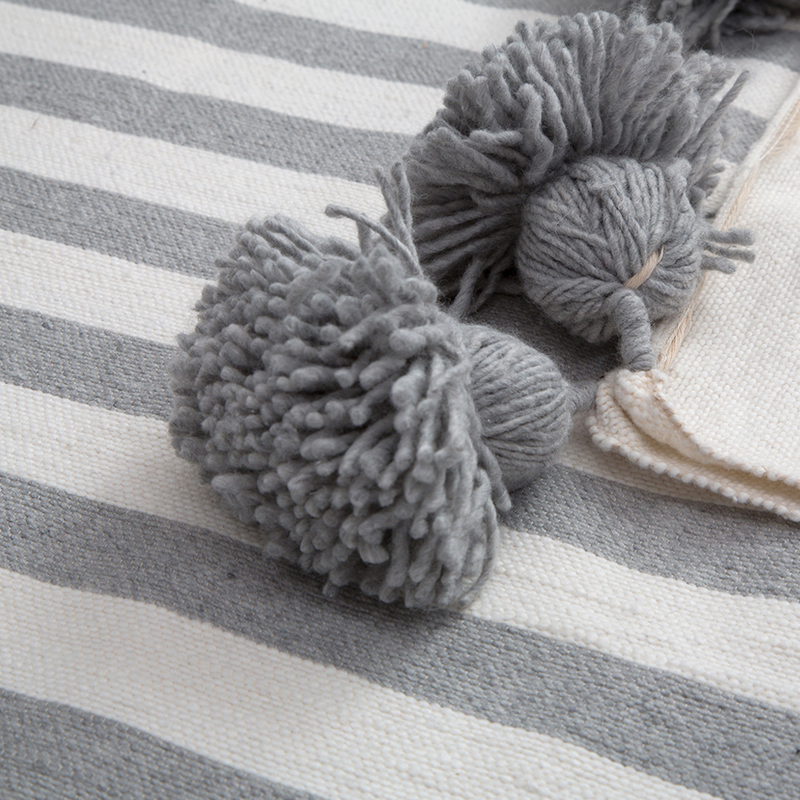 They are made from sturdy 100% cotton with cotton pom poms and are machine washable.